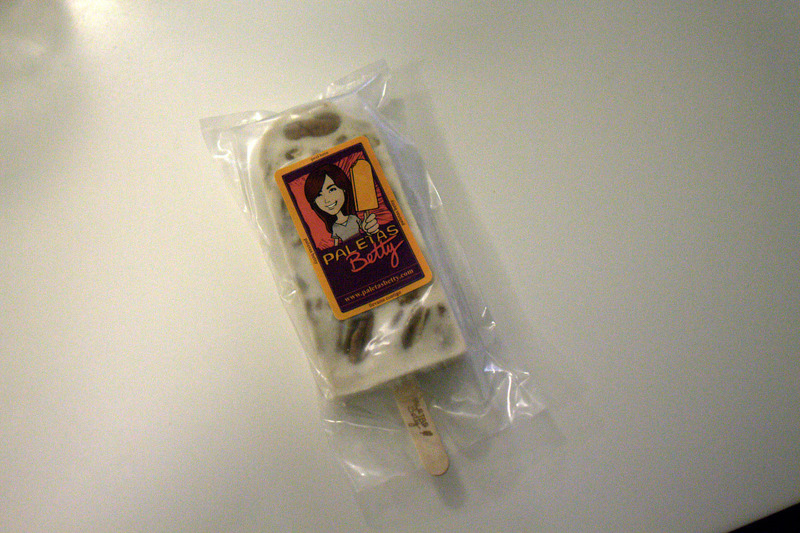 I had been hearing about Paletas Betty from several friends and finally had a chance to check it out! First of all, what is a Paletas, and who is Betty? A paleta is a ice pop usually made from fresh fruit, and very popular in Latin America. The stores where they are sold are known as paleterias and the sellers are called Paleteros. It’s basically a really tasty fruit bar that you will love! 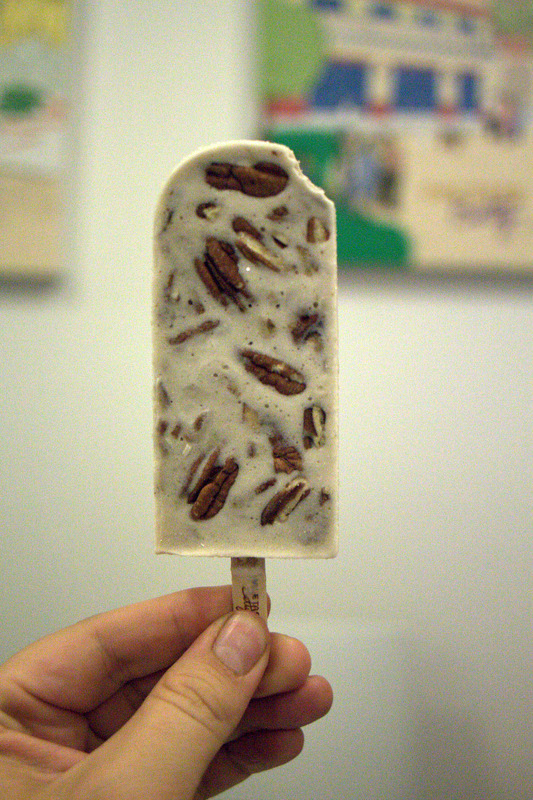 Paletas are basically awesome Mexican popsicles. The founder is Betty Alatorre de Hong, a native of Mexico. The Phoenix New Times did an interview with Betty a few years ago. It was super! I’m definitely going back for more. I ordered the pecan flavor, and it was really excellent. Soft, creamy, and yet firm with great flavors. As a dessert item, this by far beats other more sugary options. The flavors are always changing, and I had more than a dozen flavors from which to choose. All of the paletas are made fresh daily, with seasonal fruit (or nuts and other ingredients). They also serve drinks and other beverages. My wife grabbed the strawberry flavored paleta and raved about the fresh fruit pieces, and excellent flavors. It is like eating really great ice cream frozen with fresh strawberries. Other fruit flavors available include mango, blueberry, watermelon, and pineapple. You can also get rum-laced banans Foster (wow!) and they also offer orange vanilla cream (naranja), and peach, ginger, and honey (called durazno). If you’ve been there, leave a comment on this post with your favorite flavor.